The moment you stick your first bullseye, we know that you’ll be hooked. It’s like darts but with axes!!! Don’t worry it’s completely safe and a whole lot of fun! All Axe Throwing sessions are run by trained Axeperts who will show you how to safely handle an axe and chuck it with accuracy while giving you tips on how to capture that illustrious Bullseye! Expect the session to last 2.5 hours. This is a longer session than last time so you get more time to practice! We can grab lunch after if anyone is interested. We must have 6 people by 4/18 to keep our reservation. Cost: We have 6 tickets for $35/each. No refunds after 4/18 unless someone takes your spot, then 75%. If you have any questions reach out to the event leader. 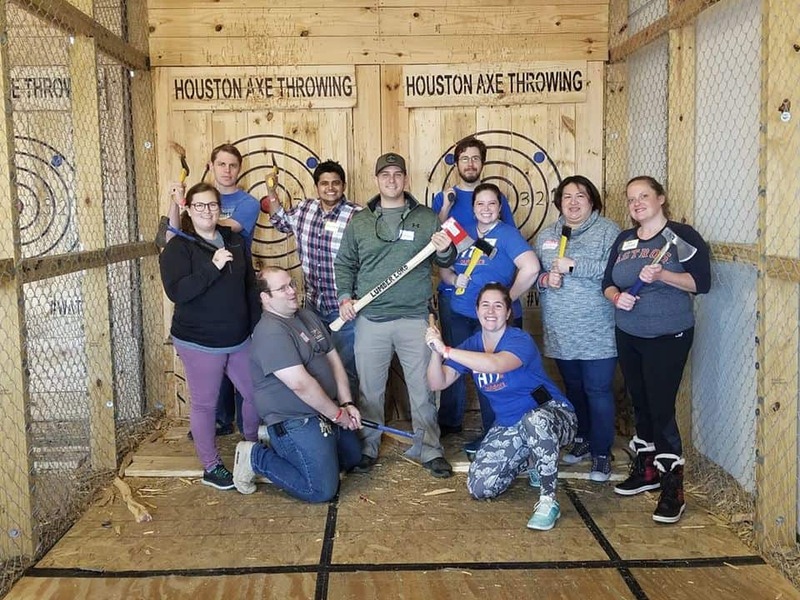 You will spend 2.5 hours becoming intimate with a 1.5lb piece of whirling wood and metal as you learn, practice and then finally square off in a group tournament for the title of Axe Throwing Champion. 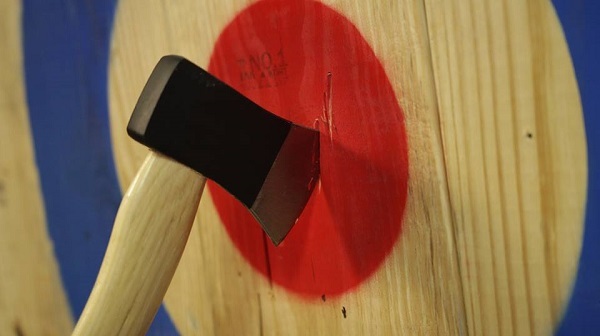 Axe Throwing sessions are run by trained Axeperts who will show you how to safely handle an axe and chuck it with accuracy while giving you tips on how to capture that illustrious Bullseye. 2) You can NOT be drunk! However, they do have an open bar! If you become drunk you will not be allowed to throw axes. 3) PLEASE arrive 10 minutes early. They will not start the instructions until everyone is there. So if you are late, our entire party has to wait until you arrive. Session starts at 10am, please arrive at 9:50am.